What kind of team are Wales? “We didn’t become a bad team overnight” is a cliché often trotted out by sports teams that have hit a bad run of form. Quite often that’s true: the team in question has actually been quite poor for a while but results have papered over the cracks. But this Ireland team really were an excellent side until very recently. Nobody who saw their performances against England or New Zealand last year could deny that. A Grand Slam, a series win away in Australia, and an autumn clean sweep all added up to them deservedly winning World Rugby’s 2018 Team of the Year, Player of the Year, and Coach of the Year awards. In the 2019 Six Nations, however, they have been comprehensively out-played by England and Wales, struggled to unconvincing wins against Scotland and Italy, and only really impressed at home against a poor French side. They’ve gone from the team to beat to the team that did get beaten – twice. So what happened? And should Ireland fans be worried with the Rugby World Cup looming on the horizon? Joe Schmidt said after the match against Wales that his half-backs weren’t to blame for his team’s poor tournament and they certainly weren’t the only ones to play badly. And it’s tough for half-backs to operate when their pack is on the back foot, as Ireland were against England and Wales. Moreover, almost every team in the world would struggle if their scrum- and fly-half weren’t performing well. New Zealand are brimming with talented players but Aaron Smith and Beauden Barrett are central to their game. Ben Youngs and Owen Farrell have been at the heart of everything England have done well (and badly) in this Six Nations. South Africa look much worse without Faf de Klerk and Handré Pollard. France’s constant changes at half-back have impeded their progress for years. Conor Murray and Johnny Sexton, when on form, are without doubt two of the best players in the world in their positions. When they play well, Ireland are imperious. They haven’t been playing well this tournament, with the exception of the game against France, and it’s had a big impact on the team. Sexton’s frustration has been visible throughout a number of the games and it can’t have helped the team’s mentality. Half-backs are the decision-makers and generals of a side and it’s tough for a side to play well without them being at least 6/10. But, to invoke another cliché, “form is temporary, class is permanent”. Both Murray and Sexton have plenty of big games between now and the end of the season for Munster and Leinster, respectively, to find their form. Ireland fans don’t need to be any more worried about their half-backs at the World Cup than most other teams. The depth Schmidt has been building in the Irish squad means this hasn’t been as obvious as Scotland’s injury problems but Ireland have used the second-most players (36) of any team in this tournament and it is almost entirely because of injuries. At various points, Devin Toner, Iain Henderson, Seán O'Brien, Dan Leavy, Josh van der Flier, Kieran Marmion, Joey Carbery, Robbie Henshaw, and Garry Ringrose have missed games through injury. That’s nine players who could reasonably hope to be in a first-choice 23 for Ireland and the enforced absences and changes have made things difficult for the wider squad to get back into their groove. Four different players called the lineout for Ireland in this tournament, for instance. That’s disruptive for any side. Injuries are, sadly, a part of the modern game. England suffered terribly last year, Scotland have had a nightmare-invoking medical room this year, and both Ireland and Wales have seen previous Six Nations and World Cup campaigns badly derailed by injuries. Every squad has to be prepared to lose players and keep going. Injuries aren’t the only reason Ireland have struggled this year but they haven’t helped. On the other hand, all those less experienced players who came into the matchday squad will have learned a lot and that will stand Ireland in better stead when the World Cup comes round. In 2016, Ireland played New Zealand twice in two weeks. The first game was that unforgettable victory in Chicago where Ireland’s self-belief helped them ride out what seemed like a comeback before sealing the game. Then came the return fixture in Dublin, where they were battered and humbled by a brutal New Zealand performance. In the following Six Nations, it took them a while to bounce back, losing away to Scotland and Wales before coming good to beat England in Dublin and prevent their Grand Slam. From there, they improved steadily to become the side last year. Ireland’s performance in this tournament has a similar feeling to two years ago: the manner of the loss to England seems to have knocked their self-belief and, consequently, their ability to execute their skills and bring the kind of crushing physicality they are capable of. The loss to Wales in the final round won’t help in this regard and Schmidt only has four warm-up games ahead of the 2019 World Cup to get his team to believe in themselves again. But Ulster, Leinster, and Munster are all still in the Heineken Cup and in contention for the Pro14 finals so almost all the players will have other opportunities to succeed before the summer. It’s a cause for concern but one that can be improved before the World Cup squad is announced. One thing that should concern Ireland fans is their team’s seeming inability to chase a game. The last time this Irish side was trailing at half-time and went on to win was on the summer tour of 2014. Since then, there have been eleven games where Ireland have been behind at half-time and they’ve lost each one. Both England and Wales scored within two minutes of the kickoff and Ireland never looked comfortable with the scoreboard pressure. So much of the Irish game plan is based around their ability to execute flawlessly and choke the life out of opposing teams but they struggle to do that in games where they are behind early on and have pressure put on them, especially as the clock ticks down in the second half. In both their losses during this Six Nations, it’s been obvious that out-muscling the forwards and giving the half-backs less time has reduced Ireland’s ability to play. However, that’s true of most sides. Ireland’s discomfort with being behind early in game, on the other hand, is something that opposition coaches will have noticed and look to exploit. There have been more factors in each of those eleven games than just scoreboard pressure but the common theme is one that might trouble Schmidt and his team. 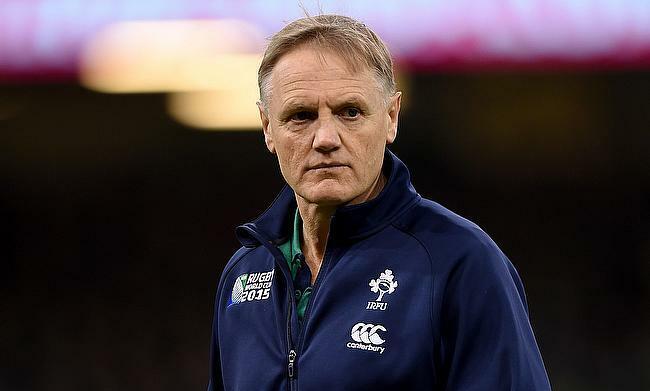 It hasn’t been the tournament Joe Schmidt would have wanted, especially before the Rugby World Cup, but the Irish coach will have learnt a lot about his squad and he has further increased its depth. Schmidt is still one of the best coaches in the business and he proved against Scotland that he continues to come up with tailor-made, brilliant attacking plays to exploit the weaknesses of opposing sides. The squad remains full of talent, individually and collectively. James Ryan has come out of this tournament with his reputation further enhanced and deservedly so. Tadhg Furlong, Cian Healy, Peter O’Mahony, CJ Stander, and Jacob Stockdale haven’t lived up to their high standards recently but they remain hugely talented players. Dave Kilcoyne, Tadhg Beirne, Quinn Roux, John Cooney, Jack Carty, Chris Farrell, and Jordan Larmour have all acquired hugely valuable experience. When the squad gathers again in August, Schmidt will know he has some of the best players in the world. If they can rediscover their form for their domestic sides, he will back his coaching team to bring back their self-belief. Doubts remain but Ireland fans also have a lot to be positive about. There is plenty of time for them to regain their mojo.